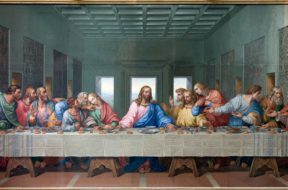 The details of the Last Supper with Jesus and his apostles reveal amazing gems about his overwhelming loyalty to them...and us! Watch this short video as told to us by the Apostle Peter. He tells us first-hand what he experienced with Jesus in this two-part story. 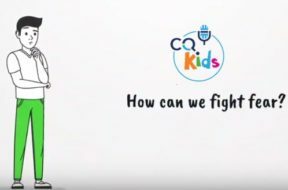 VIDEO: CQ Kids – How Can We Fight Fear? Everybody is afraid of something. Even people we read about in the Bible felt fear. 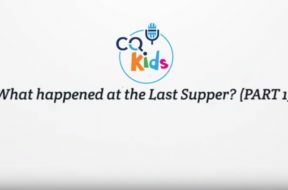 We offer some ideas for our youngest listeners in this short animated videos. 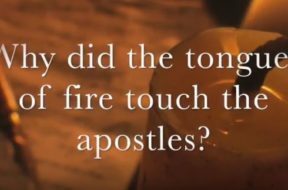 VIDEO: Moments that Matter – Why Did Tongues of Fire Touch the Apostles? The events of that first Day of Pentecost after Jesus’ resurrection were a unique, once in all of history occurrence. Many Christian churches today still believe in the gift of speaking in tongues, but with dramatic differences. Modern tongues are spoken with unintelligible sounds as many believe that they are speaking a “prayer language” to God. But are they? Watch this short vlog then listen to the full podcast of the same name for more. Why Did the Tongues of Fire Touch the Apostles? On rare occasions, God will do things so far out of the ordinary that we just have to stop and take notice. 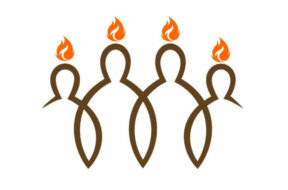 This particular day of Pentecost was such an occasion, so let’s see what the message was! 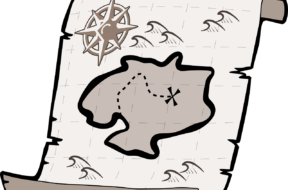 On this past May 20th we embarked on a journey through the Apostle Peter’s life and on June 10th, we continued that journey. Our ending point was his conversation with our Lord after Jesus’ resurrection – the conversation that let Peter know that Jesus was counting on him as a lynch pin of what would become Christianity, in spite of Peter’s shortcomings. Today, we look at some of Peter’s experiences that followed, from Pentecost to the conversion of the first Gentile to the writing of Peter’s epistles. Stay with us as we look at how God’s Spirit influenced Peter in his mistakes, his impetuousness and his courage. A few weeks ago on May 20th, we discussed Part 1 of our conversation about the Apostle Peter. We covered his life from his being introduced in the Scriptures as a typical fisherman from Galilee, up to his proclamation that Jesus was the Messiah and his angst at Jesus saying that he, Jesus, would have to die. These three things typify the life of Peter: a regular guy of no singular background, impetuous – willing to speak up when others would not, and often getting into some kind of trouble for things he said or did. Stay with us as we look further into this utterly fascinating life of a man who would become one of Christianity's greatest leaders. (Part 1 of a 3-part series) Of all the Apostles, Peter is the one who is most exposed to us. His background is clear, his strengths and weaknesses are obvious, and his faults are plain. It is through the viewing of his life that so many of us find hope – for we see in the Apostle Peter a simple man, who with great faith met with countless adversities and by God’s grace was not only forgiven for his failings, but was one of the twelve foundation pillars of the true church. Stay with us as we begin to tell the story of Peter – the man – the disciple – the leader. All of us who claim to be Christians would probably agree that Jesus is the centerpiece of our lives and that following him is our most important task. If we were to leave the conversation there, then it would seem to be a clear and easy conclusion. However, there is so much more to this story! What does it mean to truly follow him? What are “the words of eternal life” to which Simon Peter referred? Are they easy to find? Are they easy to follow? Are they available anywhere else? Stay with us as we look into these words of eternal life and example of Jesus to see if we are truly following him and no one else!